NAHA, OKINAWA PREF. - Defense Minister Itsunori Onodera on Monday sought to persuade the Okinawa Prefectural Government to permit Osprey flights despite strong local concern about the aircraft’s safety following the fatal crash off Australia on Aug. 5. The tilt-rotor transport aircraft is “very important for our country’s security,” Onodera told Okinawa Gov. Takeshi Onaga on his first visit to the prefecture, which hosts the bulk of U.S. military facilities in Japan, since assuming his post on Aug. 3. 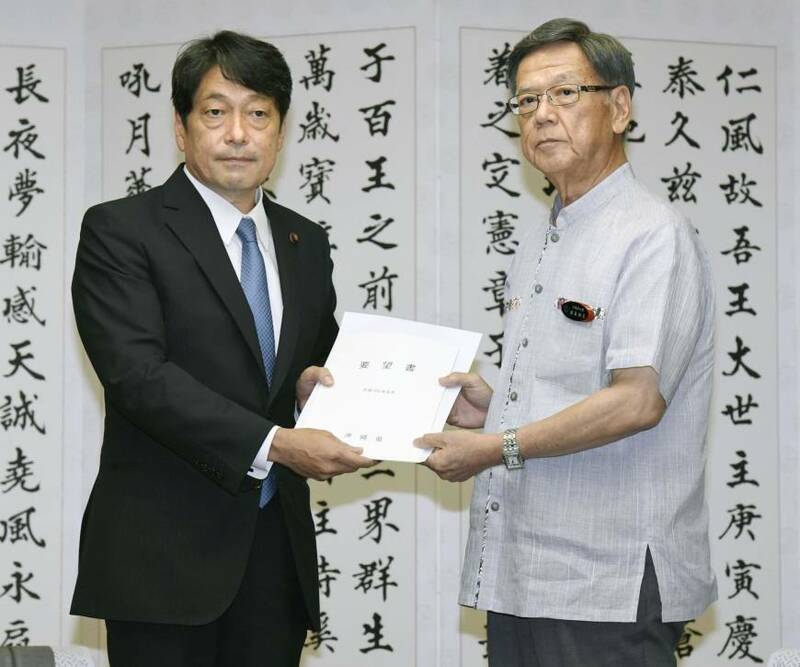 Onaga criticized the central government for endorsing the U.S. military’s decision that the MV-22 Osprey is safe enough to fly, just six days after the accident. After the accident, the Defense Ministry quickly urged the U.S. military to keep Ospreys grounded in Japan, but the demand fell on deaf ears. 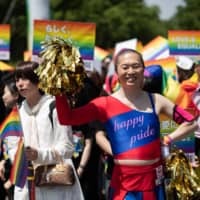 The U.S. Marine Corps announced last Wednesday that it judged the MV-22 Osprey to be safe following an investigation, and the Japanese ministry rubber-stamped the U.S. military’s decision Friday. 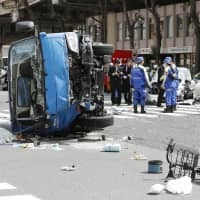 The response was “extremely disappointing from the viewpoint of protecting the lives of the people in the prefecture and in the country,” Onaga told Onodera during a meeting in the prefectural capital of Naha. The Ospreys, which take off and land like helicopters but can also cruise like planes, were already unpopular because of their noise and dodgy safety record overseas. The U.S. military has more than 20 MV-22s deployed at U.S. Marine Corps Air Station Futenma in Okinawa. Last December an Osprey ditched off the main island of Okinawa in the first major accident involving an MV-22 in Japan. The accident in Australia involved a Osprey from the Futenma base. Both sides are also bitterly divided over the plan to move the base from Ginowan to less populated Nago, also in Okinawa. 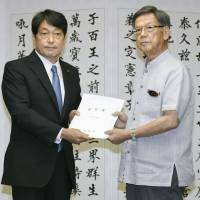 Onaga and many Okinawans want the base to be removed from the prefecture altogether. Onodera told Onaga he wants to “steadily move ahead” with the plan to address the danger posed by keeping the base in crowded Ginowan.